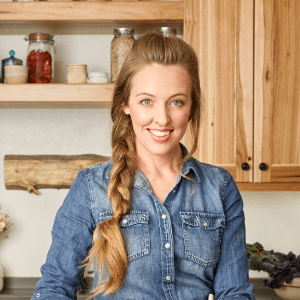 I don’t know about you, but I’ve totally been enjoying our on-going series of how to homestead no matter where you are. So far, we’ve talked about how to turn your apartment and your suburban backyard into functional modern homesteads. This is someone who has more room than the average city lot, but not exactly a big chunk of land way out in the country. You may have 3 or 4 acres just outside of town. Or, perhaps you live right on the outskirts of the city limits. You still have close neighbors, but are blessed with a larger lot than most. Can this work for modern homesteading? You bet! If this is you, then you have lots of options in building a homestead of your own. (Of course, be sure to check your HOA regulations and zoning laws before you go and do anything). Of course, you can implement all of the apartment or suburban homestead ideas too, but you also have some options all your own. 1. Get Goats. 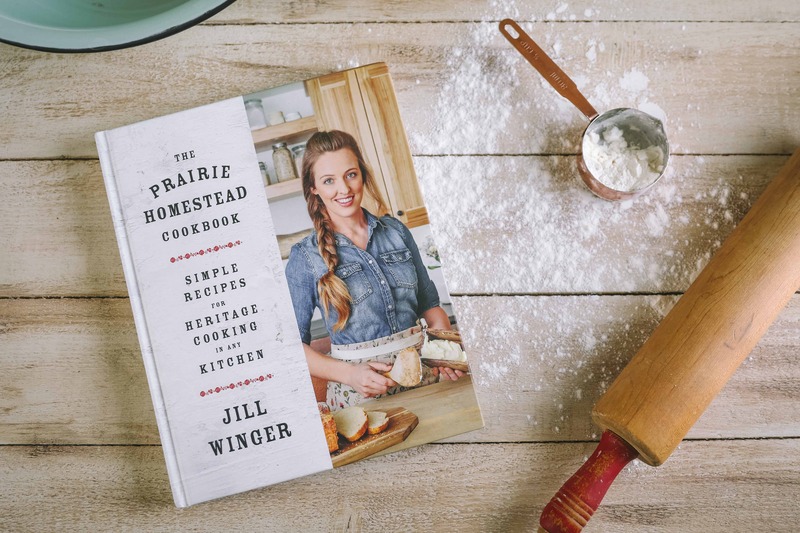 If you’ve been reading The Prairie Homestead for any length of time, then you know that home dairying is one of my favorite topics. We milked our goats for over a year before we decided to finally bite the bullet and get our cow. The goats were a valuable and frugal way for us to become familiar with the world of lactating animals, raw milk, and daily milking. Check out the Goat 101 series for a whole slew of how-to goat posts including Cows vs. Goats, How to Choose a Milking Schedule, The How-To Milk a Goat video, and more! 2. Raise Rabbits for Meat. Now unlike goats, this is one aspect of homesteading that I have ZERO experience with. 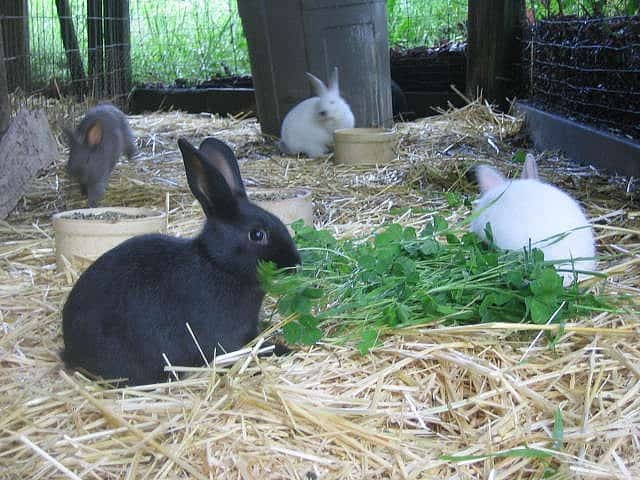 But, I know of many modern homesteaders that love keeping and breeding rabbits as a way to raise their own nutritious, sustainable source of meat. They need about 1/1000th (my humble estimation. ;)) the amount of room and resources that a beef cow, hog, or sheep would, and I hear they taste just like chicken (haha). This looks like helpful resource if you are looking into meat rabbits of your own. 3. Become a Fruit Farmer. If your climate is fruit-friendly (Our area of Wyoming struggles with that…), plant perennials like strawberries, blueberries, blackberries or raspberries. The best part about these guys? You plant once, and with a little upkeep, can continue to reap the benefits for years. Or, put in a small selection of fruit trees. While fruit bearing plants require a little bit of patience while you wait for them to mature, I think the pay-off in the end is definitely worth it. Being a homesteader with a smaller amount of acreage gives you the opportunity to invest a little more in time nurturing these plants, versus someone who has all the extra responsibilities that come with having more land. 4. Grow it and Sell it. If you have extra room on your property, consider planting more vegetables (or fruit) than your family needs, or get a few extra laying hens. Sell or barter your excess with friends and family. Or, get a booth at your local farmer’s market and sell homemade breads and goodies along with your offerings of fresh produce and eggs. 5. Consider Small Scale Wind Energy. Many semi-rural homes in our area are adding small residential wind turbines to their properties. 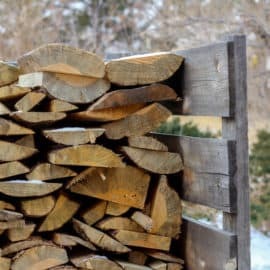 This can be a wonderful option if you are looking towards a more off-grid lifestyle, or if you just want to save some cash each month on the electric bill. The initial set-up costs can be expensive, so before purchasing, crunch some numbers to see how long it will take for the turbine to pay for itself. 6. Dig a Root Cellar. After our recent potato harvest (it was a good year…), digging a root cellar of our own just got bumped higher on the to-do list for next year. Root cellars can be a valuable, off-grid way to store your yearly crop of potatoes, onions, parsnips, carrots, and other root vegetables. A root cellar doesn’t necessarily have to be a large underground room, it can also be more of a smaller trench. There are many books and resources out there highlighting all the how-tos of constructing your own old-fashioned “refrigerator”. 7. Farm Fish. If you live in certain parts of the country, your climate might be right for having a small Tilapia fish farm. I hear of more and more folks all the time who are adding aquaculture to their small homesteads. I think it’s a brilliant idea- especially considering that the last package of Tilapia I bought was from China… (and no, I won’t be buying that brand again! I’ve had to start using cod for my Parmesan Encrusted Tilapia recipe.) 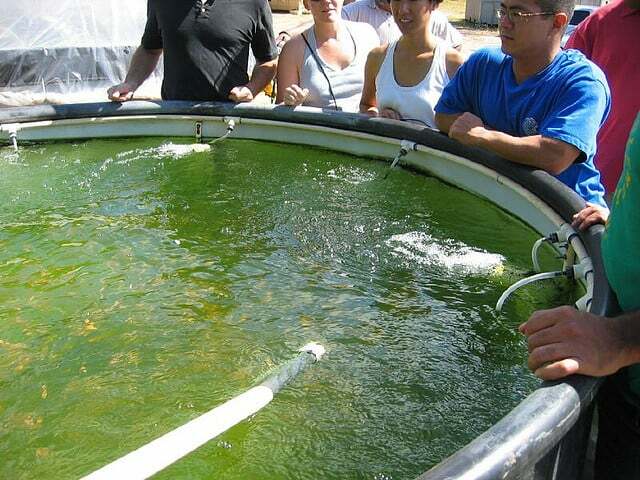 Check out this article from Mother Earth News for an overview of how to start a backyard fish farm of your own. 8. Build a Greenhouse. Imagine extending your growing season, or finally being able to grow those varieties of fruits and veggies that your natural climate won’t support. Many home improvement stores sell ready-made greenhouse kits. Or get creative and build your own with recycled materials like old windows and doors. But all these tips aside, do you know the most important ingredient you can have as a modern homesteader? Good old fashioned work ethic, motivation, and drive. 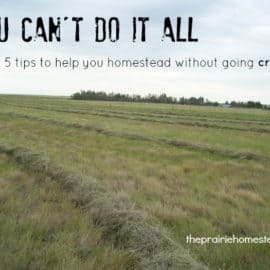 Homesteading can be back breaking, frustrating, and exhausting. But those with the drive to push through the hard stuff will discover a newfound passion for the simple pleasures in life and a wonderful sense of fulfillment at the end of a hard day’s work. Oh yes, oh yes! That is our plan. We are zoned agricultural with only 1 1/4 acre. So far we have 50 fruit trees in, perennials, 15 ducks, 3 chickens (25 more coming in the spring), 3 angora rabbits, and we plan on getting milk and meat sheep, meat rabbits, goats, highland cow, a greenhouse with aquaponics and still have an outside garden. This is our first year homesteading, but as we dig our heels in, we get more addicted to this way of life. I’m amazed at how much we’ve accomplished so far, and we are just babes in the process. Anyway, its exciting to see people digging in and taking a new direction, and once more taking control of their own lives. Wow Angela, you rock! You guys sound like you have just the motivation I was referring too. Keep up the great work! Hey! We have two acres but surrounded by nothing. Trying to convince hub to get a mini cow – how are you managing a cow on your 1 1/4 acre? please do share!!! That was a terrific post. I hope that some day I will live where I can have goats, chickens (or ducks) and rabbits. But, that is a few years away. What have you heard about miniature dairy cows? 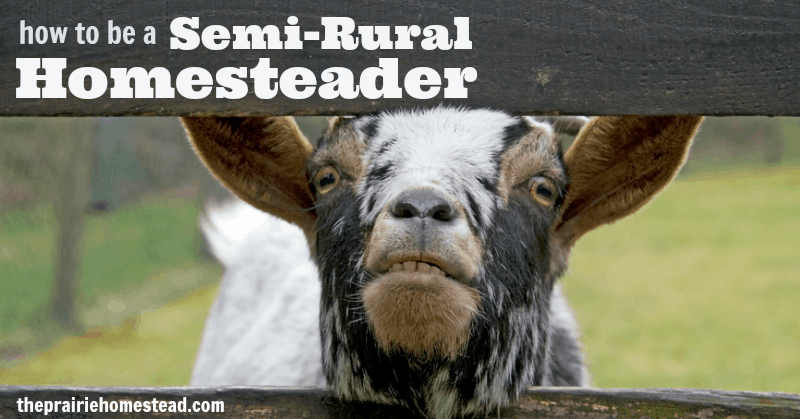 It seems that might be a good option for a small homesteader. Good question Eleanor! Thanks for reminding me. 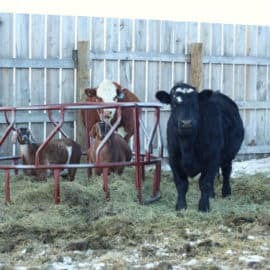 I have heard good things about mini cows and they would most definitly fit well on a small homestead. I looked into purchasing one for our farm, but they were pricey in our area. We moved here almost 16 years ago. We have approx. 4 acres. When we moved here,we gardened and we had figs, plums and peaches, black walnut and pecans trees(all already here and established). We still have all these but the plum. We’ve had chickens in the past and only recently acquired chickens again. I used to make jams from all the fruit and we shared the pecans with everyone! Only last year did I realize that the little green things falling in my back yard all this time were Black Walnuts! Now that our children are grown…The Husband and I have gone back that direction; especially now that he’s retired. It pains me to think of all the time we lost, nurturing our land. It’s almost like we’re starting over. I’ve loved reading your series. These articles have given me hope in starting out small. Doing even a little can’t hurt. Pat- so jealous about your Black Walnuts! We have nothing like that around here! I truly think that just doing the best that we each can is the most important part. No one is capable of doing it all. 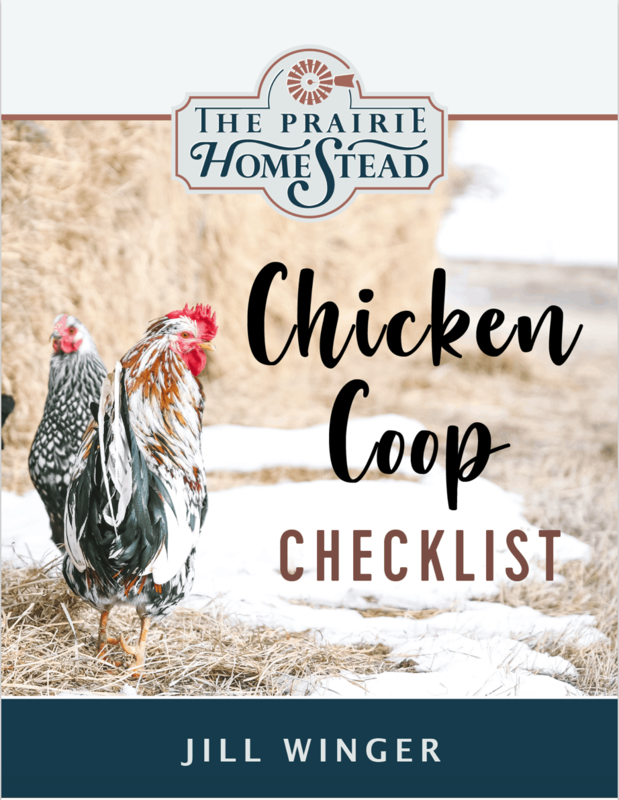 Keep up the great work on your homestead! Even though I live semi-rurally, our township still controls how much livestock someone has on their land. I would always suggest talking to your township about the “rules” before you jump into something like goats (that’s where my issues started). Many townships have to have zones where particular amounts of animals to people are kept, and it’s important to know so you don’t get arrested or fined. There’s my 2 cents on the subject, and I hope it helped! Yes, very good point Autumn. Unfortunately, many areas have strict rules. Hopefully more and more people will rally to change them, though! You do realize you can petition your local government to reassess current ordinance. You have to be willing to go to council meetings talk to others to garner support and most importantly don’t just roll over and say ok we can’t do it and never try to get it accomplished. Just my .02 Take care all! I would love to start a garden (as soon as I am well enough, hubby wants to, too), but I can’t imagine the deer (rabbits, squirrels, chipmunks, birds, etc) leaving anything for us to eat. Is it possible and how so? Jan, I don’t have experience with all of those garden-eaters, but I know the fence we put up around our garden has greatly protected it from our dogs and deer. I’m betting there are other creative tips and tricks you can use to deter the others- you might try googling it. I live in the south and we have a TON of deer… So a few southern tricks… Have your husband pee around the garden (this deters many of the snackers. Also tie a fishing line around he garden about 3′ high. Tie plastic grocery bags or white cloth to the line at about 10′ intervals. When the deer come for a snack, the hit the line, causing the bags to move and frightening them away. With rabbits you need a good fence and/or a good dog. And about the Aquaculture.. Down here Talipia don’t work so well… Too hot. But Catfish make a great substitute! I’m pointing out the obvious thing that comes to my mind, if you’re in a climate a little too “cold”, like we are, you could build a greenhouse and put the fish farm into the greenhouse, to protect the fish and avoid incurring extra heating costs, since the space will remain warmer with the thermal mass of the tank, and the humidity from the tank won’t hurt the plants at all, which factors into lower heating costs over the winter months. There is lots of work and I would HIGHLY recommend you invest in good fencing and good barns for your animals. It is much easier to do that BEFORE you acquire your livestock. This is one of the best article’s you have written. All are great. Keep them coming, I may just learn something yet. This is great information! I have enjoyed reading this series. We live on 3 acres just outside of town. We have chickens, goats, ducks and gardens. This year we hope to increase our small fruit “orchard” and berries. Selling eggs and free-ranging has helped with feed costs. I also make soap with goat milk and a few homestead crafts to sell at a local shop. More raised beds are in the works for this growing season. Hoping to sell the extra produce that we grow. 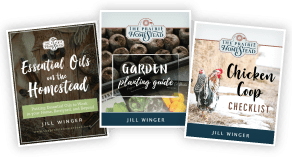 Milking goats, canning, cooking from scratch, going to yard sales, thrifting, sewing…..Love it all and I love reading The Prairie Homestead. 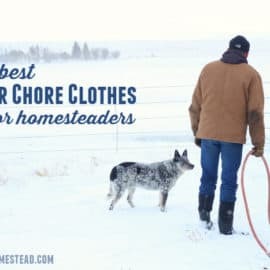 As I learned new homesteading skills online for free, you may learn at homestead.org.